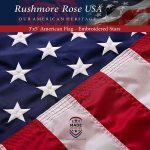 All Americans can get a flag that has flown over the U.S. Capitol at a very reasonable price by placing an order directly with your elected members of Congress. The cost of a flag when ordered directly from your Representative or Senator’s office is very reasonable. In addition to a reasonable charge for the flag and for postage, if you want the flag flown over the Capitol, there is an additional, mandatory fee of $8 (2017) to recover the costs of flying the flag over the Capitol and providing the certificate that comes with it. 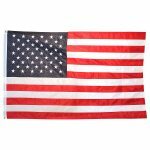 You can have the flag flown “in honor of” or “in memory of,” and you can request a specific date – for example, a birthday or anniversary – that the flag be flown. If the flag is to be flown over the Capitol, place your request directly with your Representative or Senator‘s office no less than two weeks or more than two months in advance of the date you wish to have the flag flown. Payment must be made by check or money order; some offices accept credit cards. You should allow 4 to 8 weeks for delivery. Please note: to get a flag flown over the Capitol you should contact your Representative or Senators directly: flag order information is typically found under “Constituent Services” on their official web site. 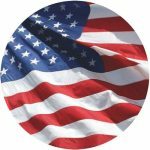 TheCapitol.Net does not sell or arrange for the sale of flags flown over the Capitol. Search for your Representative in the U.S. House of Representatives by state and zip code. To find out who your Congressman or Senator is, member directories on the web are here: House, Senate, and our print Congressional Directory is here. Tips on how to contact Congress. 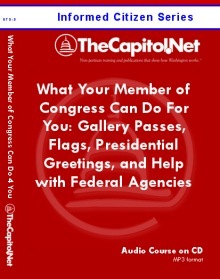 The Biographical Directory of the United States Congress (1774 – Present) is here. For a list of the memorials in DC including the Washington Monument, the Lincoln Memorial, Arlington National Cemetery, and the FDR Memorial, see our museums, memorial and monuments page. U.S. American Flag 3’x5′ + FREE Affiche. Made in USA. Bundled Product. Embroidered Stars Sewn Stripes. Sturdy Brass Grommets. Premium Nylon. 30% of Proceeds Donated to Families of Fallen Officers.